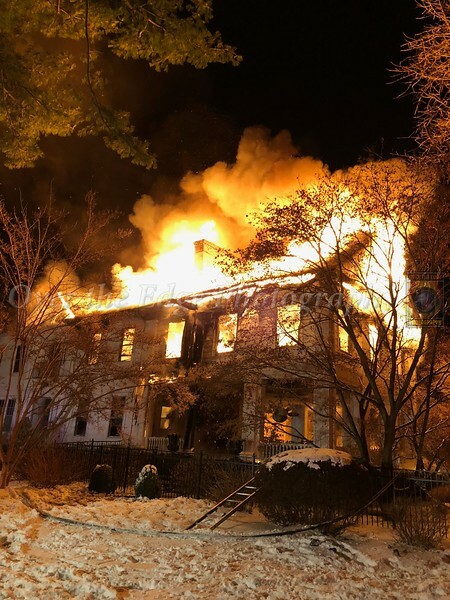 On Saturday, January 6th at just after 2am with the temperature well below freezing, the Glen Cove Fire Department responded to a report of a house fire on Ridge Rd. 1st Assistant Chief Tate was first to arrive on scene and transmitted a Signal 10. Engine 528 was first due and began an interior attack. With the high wind conditions, the fire quickly advanced on the crews forcing them to back out and move to exterior operations. Numerous mutual aid crews were requested to help with the extinguishment of this large blaze with firefighters on scene for over 13 hours.